As Winter is emerging, it’s hard not get those chunky knits out! 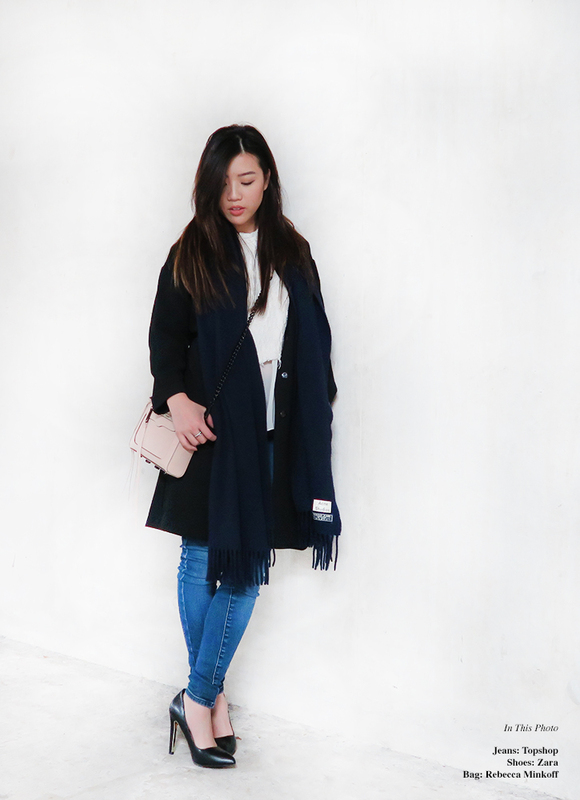 One of my favourite ways to keep warm is layering up (yes that’s pretty obvious!) But I love mixing different items together and creating different textures with my outfits; I tend to opt for simple pieces and throw them together to create a minimalistic look! This is a great casual work/office look, with the heels to balance out the casualness and a tailored trench coat to bring out the business look. 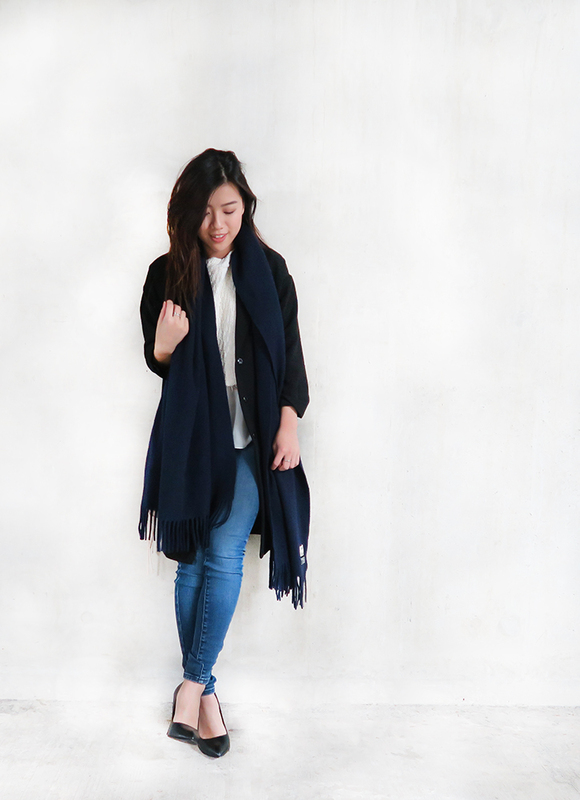 As the colder months approach us, it’s safe to say I can now bring out my beloved scarves! As my recent blog post stated, I am obsessed with them. Therefore I am featuring the most chunkiest and cosiest scarf that I own from Acne Studios. I hope you guys enjoyed this short and sweet blog post; an outfit that I gear towards in the Winter months, maybe not so much with the heels on a daily basis as I like to switch footwear from time to time as it can give the outfit a completely different look. The one thing I cannot live without during this time of the year is of course a nice cosy scarf before I leave the house! 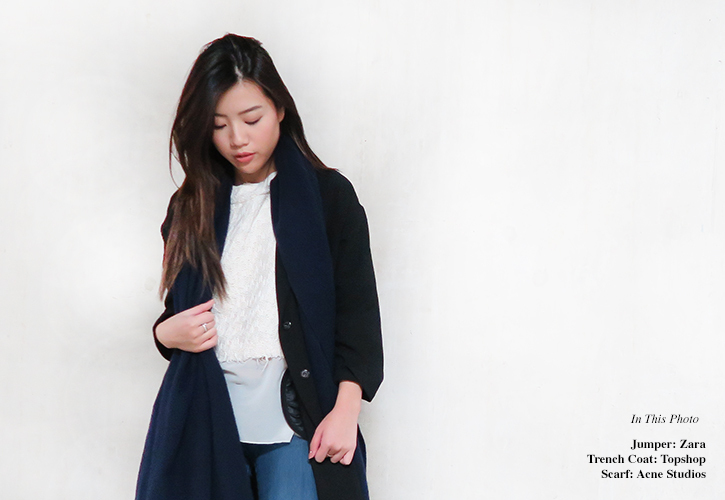 What’s your Winter outfit necessity? Hope you guys have a great rest of the week and keep wrapped up!